The company is optimistic about consumer receptivity to an estimated $50 million investment in changing the new brand. Rechristening a company is always a major undertaking. Signage, brochures, contracts, radio and print advertising, not to mention a myriad of other materials, all have to reflect the change. If well chosen, the new brand can be expected to maintain or boost the success of the firm. When poorly selected, the name change can result in a disconnect between business objectives and consumer perceptions about the company. And that can lead to lost sales— or worse. Which of these paths awaits the successor to ING U.S. is now of keen interest to market-watchers. Spun off from the Dutch multinational behemoth ING Group following an initial public offering, ING U.S. became Voya Financial Inc. April 7. The change is the latest in a multistep rebranding process that will continue throughout the year. The changeover has been long in the making. In a phone interview, Voya Financial Chief Marketing Officer Ann Glover told me the company invested significant time and resources into the name change. In addition to signaling optimism, the new brand needed to be easy to spell and pronounce. To see if both were possible in the eyes of consumers, ING polled a range of stakeholders for input on the rebranding. Back came more than 5,000 suggestions for the new name. Working in concert with Interbrand, a global branding consultancy, ING whittled the list of prospects down to 25 names that met the company’s criteria. Additional filtering reduced the group to six finalists (all undisclosed but the winner) that also satisfied an additional round of legal screening. 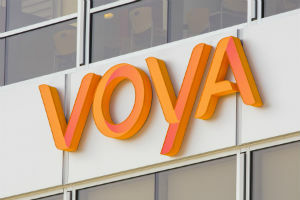 She adds that Voya has allocated $50 million for operational rebranding activities: changing over signs, renaming client marketing materials, legal entity filings, etc. The company has not yet publicly disclosed funds designated for promoting the new brand. The rebranding will in total touch 13 million customers, 220,000 points of distribution and 7,000 employees nationwide. Will the effort succeed? Judging solely on the basis of the insurer’s financial muscle, I would have to say yes. But much will hinge also on other factors that ING may or may not have adequately factored into the rebranding initiative. Among them: Whether ING was correct in assuming that the desired imagery and criteria established for the name change are still relevant. Markets and consumers change over time. What once was true may no longer hold. Also to consider is whether ING adequately leveraged existing brand equity and good will. Yes, the company is retaining its signature orange look in the logo. But the question remains as to whether consumers will perceive the new label as too far removed from its heritage and (more to the point) its former Dutch parent. There is, too, the question of whether the renaming will have credibility with the company’s employees and affiliated advisors. If they don’t accept the new brand wholeheartedly, then customers can’t be expected to follow suit. Answers to these all-important questions can be expected in the months to come.